Over the weekend, I headed over to LYS Close Knit to check out some Norah Gaughan pattern books, specifically this one. Instead, I left with this fantastic Rowan Studio Issue 12 pattern book. 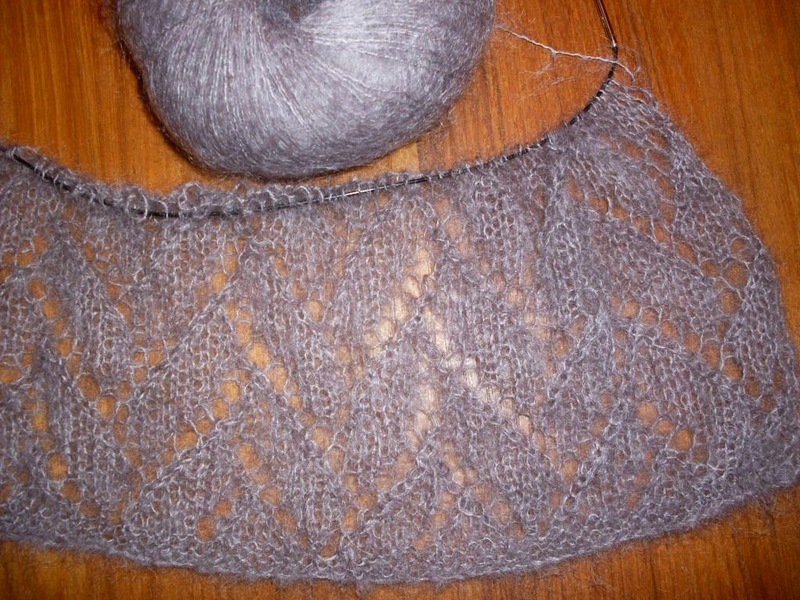 All the projects are knitted up using Rowan Kidsilk Haze or Kidsilk Aura, both mohair and silk blends. I'm making the Balloon Sleeve Top and am using this lovely purple shade. Setting up the lace pattern was difficult because I was extremely tired and ended up skipping stitches in the pattern. I had to rip out several rows several times and doing that with mohair is a huge pain. Now that the pattern is established though, I'm moving along pretty quick.